Last month Peter and Alison attended a charity ball at the Rougemont Hotel. The event was organised in the memory of a family friend, Claire, who would have turned 50 this year, to raise money for the British Heart Foundation and Cancer Research. It was a beautiful celebration of Claire’s life, with all her friends and family around. At the event was a charity auction, at which Peter & Alison bid for and won a signed Exeter City Football Club ball. 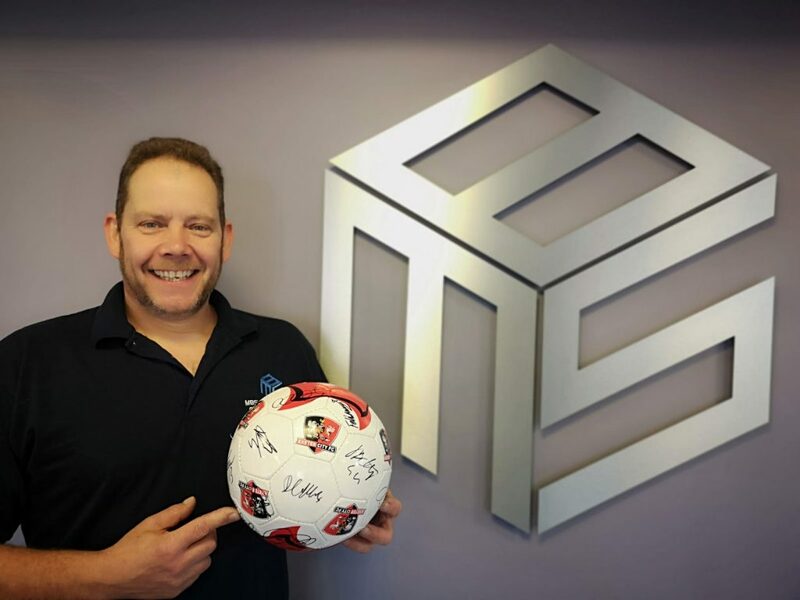 He is now giving away this very special ball as a prize to coincide with the grand opening of the Stagecoach Stand at St James Park. The charity ball itself was a great success raising over £7000. Sam Jarman, the son of Claire whose memory the event was held in, said “We are overwhelmed by everyone’s generosity. It was lovely to see so many people that knew and loved mum all in one room to celebrate her life”. Peter Anning added “It was a very touching event, we celebrated the life of a very special woman and raised money for two excellent charities in the process. Well done to Sam and Lewis for such a beautiful and moving evening”. 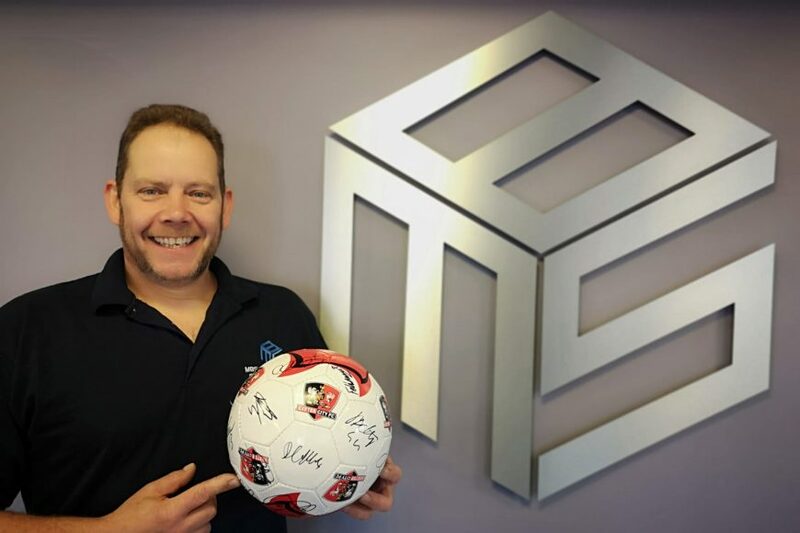 If you would like a chance to win the ECFC ball check out our competition, which will go live on Saturday 27th October. A winner will be drawn when our Facebook page reaches 425 likes with those that like the competition post being included in the draw – good luck!